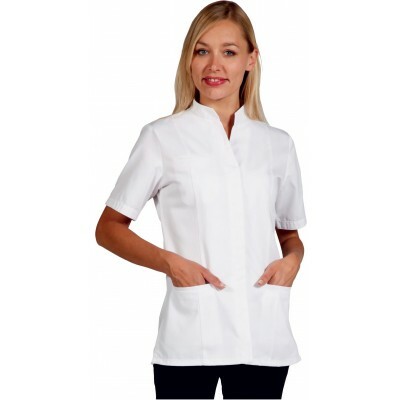 WELLNESS & SPA UNIFORMS / There are 14 products. Fitted tunic with sliding belt. 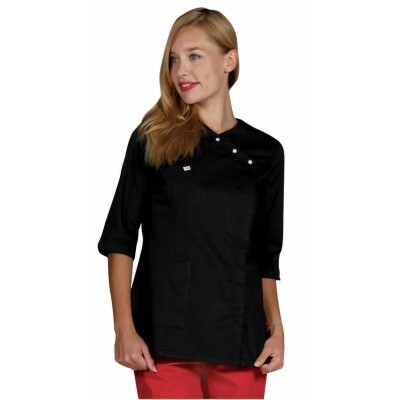 Fitted tunic with hidden press studs. Slim medical trouser for women. Jeans for women with 5 pockets. Slim trouser for women with turn-ups. Collarless fitted tunic closed on the side.